Your Golf Game from —Guaranteed! With our exclusive Single Plane Schools, you’ll finally get the distance, accuracy, and consistency you’ve been searching for…in a matter of days! During this revolutionary golf training, you’ll join our team of Single Plane Swing pros as we completely immerse you in an easier way to play with the fundamentals of Moe Norman’s ideal Single Plane Swing. From Moe’s Single Plane grip and address position to his perfect impact and finish, you will learn the GGA process of A-L-T-I-R – our proven approach to modeling the simple swing of Moe. But modeling Moe is only the start. What makes GGA schools different than any school in the country is that the goal of GGA training is to help you feel what Moe Norman felt as he was making jaws drop with his consistent ball flight. Moe called his golf swing “The Feeling of Greatness”. With the GGA hands on instruction, you’ll be actually DOING IT and FEELING IT — helping you FEEL what Moe felt, helping you finally make changes in your golf swing – resulting in laser-straight shots and distance you’ve only dreamed of. We’re talking hands-on instruction that’s customized to YOUR individual swing faults with industry best student to teacher ratio helping you learn your OWN feeling of greatness. Just think – no more trying to follow a video …no more stacks of golf magazines and unused training aides taking up space in your home…you’ll get the very best Single Plane Swing instruction in the world today, handed to you personally by the pros that know it inside and out. But it doesn’t stop there. We’ll not only cover the full swing and get you back in the fairway (and far ahead of your buddies), but we’ll also go over EVERY aspect of the game in great detail during your Golf School Experience. If you have questions about a Single Plane School, or you cannot find a school that fits your needs, complete and submit the form below and a member of the GGA staff will contact you. Just wanted to let you guys know that thanks to your hard work my swing is coming around. I just shot 65 on a par 72 course. I was 29-36, a total of 9 birdies and 2 bogeys. It wasn’t my best score that I have every shot but it was by far the simplest round that I have played. I feel compelled to give you all the highest praise for this weekend’s three-day school. I could not be either more satisfied with the experience or the thought that I now have a realistic road map necessary to develop a much stronger game of golf than I came into the weekend with. Every one of each of you provided critical assistance in what definitely feels like steps in the right direction. I feel that a very large door has been opened to my overall golfing development, and, most importantly, in many aspects of the game. It is obvious to me that you have worked extremely hard to create a finely-tuned machine, and I appreciate your efforts. Shooting my age was something I thought might take a little more time, but yesterday I had a 70 (matching my age) and was the first ever sub-par round in my golfing “career”. Now I have to make up some new goals. Shooting in the 60′s comes to mind. Anyway, call me a walking advertisement to Swing Like Moe and the Graves Golf Academy. I guess you can teach an old dog new tricks. Just a short note to let you know that I had a great experience at the recent 2 day Single Plane Experience. Clay Farnsworth is simply a great teacher of the necessary skills to play great golf. I am for the most part a total beginner and after watching some of your videos I wanted to speed up my learning and decided to attend this clinic. Clay was able, among other things, to quickly and accurately guide me in improving my feeling for positions 0-6. The “whys” for training my golf swing in the style of Moe Norman were explained to me by Clay and this helped me to appreciate what I was learning as well as understanding the genius of Norman himself. As you can see, we get right into it, breaking down the Single Plane method into easy to understand language and applying it to your specific golf swing. Our instruction is about permanent solutions and improvement NOT quick fixes.Right now, we’re holding our exclusive Golf Schools at these top-level golf locations listed below. Please choose the one that’s best for you and reserve your spot IMMEDIATELY. Space is always extremely limited so we can give close, personalized attention to each one of our attendees.Orlando,FloridaEdmond, OKLas Vegas, NVPalm Springs, CAAjax, ON, CanadaDenver, COEast Haddam, CTWest Chicago, ILSo choose your location, click the “Find a School” button, and lock in your dates. We can’t wait to meet you! 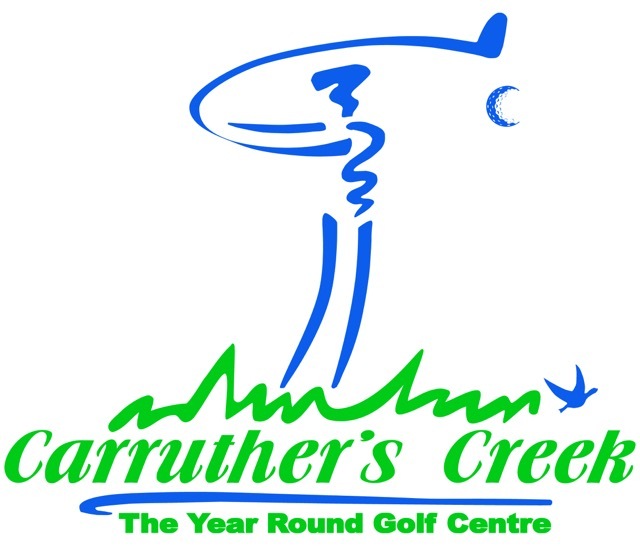 Carruther’s Creek Golf and Country Club is a family run business and was once the Brouwer Nursery and Petting Park, and the house surrounded by Whistling Wind was their home. Abandoned for over 5 years, the property was obtained by the current owner/operator in 1998. During the first year of operation in 1999 while the first nine hole golf course was being built, we opened as a nursery to re-introduce the property to the public. Whistling Wind, a par 3 Executive course, designed by Kevin Holmes, was opened the following year.